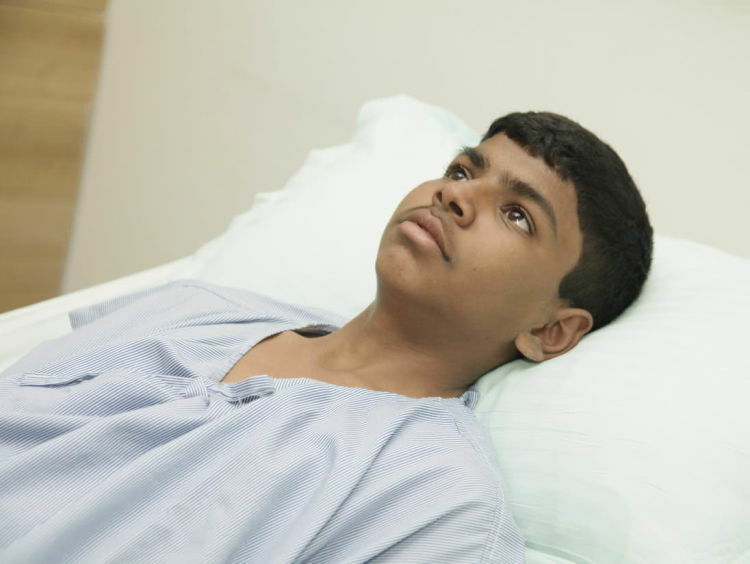 At an age when every teenager is worked up with deciding their career paths, my 14-year-old son, Shreyas, is losing his existence. He is being forced to turn into somebody he is not. My elder son Shreyas is an active child. In spite of struggling with his life for years now, he still tries to live a normal life. He goes to school and is even giving his examinations. But that is just one side of him. He is a different person when he has seizures. I work in a private company as a storekeeper. My wife does tailoring just to add a little to the family income. When my child had to undergo liver transplant we had to sell our home, borrow money from friends and take the help of my employer to meet medical expenses. We have no money left even for the sustenance of our basic needs. 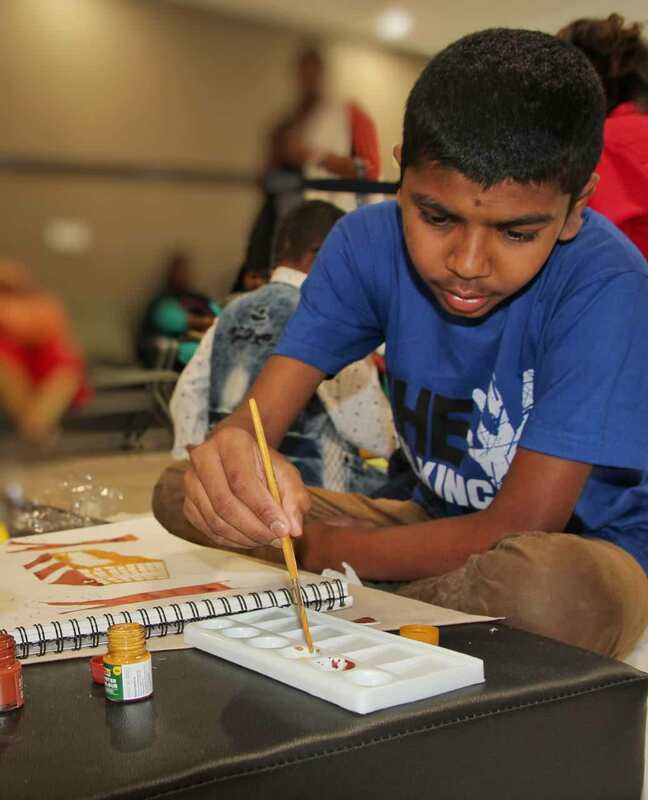 3 years ago, Shreyas was affected by Wilson’s disease. This is a condition when there is copper accumulation in the body. The problem was not detected at an earlier stage. When finally the disease was discovered, a liver transplant was the only way to prevent him from dying. My son has already fought liver failure. He is a fighter. 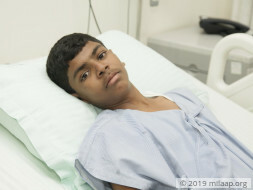 Shreyas was doing fine and we thought our efforts have been paid off. But life had something else in store for us. 2 years ago he started having seizures. Earlier it was once or twice a week. Now he is in a terrible condition. He gets his seizures over 5 times in a day and it is just continuous suffering. His behavior is erratic when he has his seizures. He yells and throws tantrums. He wants to walk out of the house. When any of us try to hold him and prevent him from self-destruction when his body is not in his control, he tries to hurt us physically. Once these episodes pass, he doesn’t even remember what he did a while ago. If I ask him he remembers the moment before the attack and says I am imagining things. It is very painful when he has his seizure. We cannot match the two behaviors. As parents, it is painful to see our young boy going through so much pain. Shreyas still doesn’t know what has been happening to him all this while. Only when we take him to the doctors or talk about his behavior after his seizures, he is curious. He keeps on asking us if he is going to die. It is very hard for us to explain what is exactly wrong with him. What has worsened the condition is the unavailability of treatment at the right time. 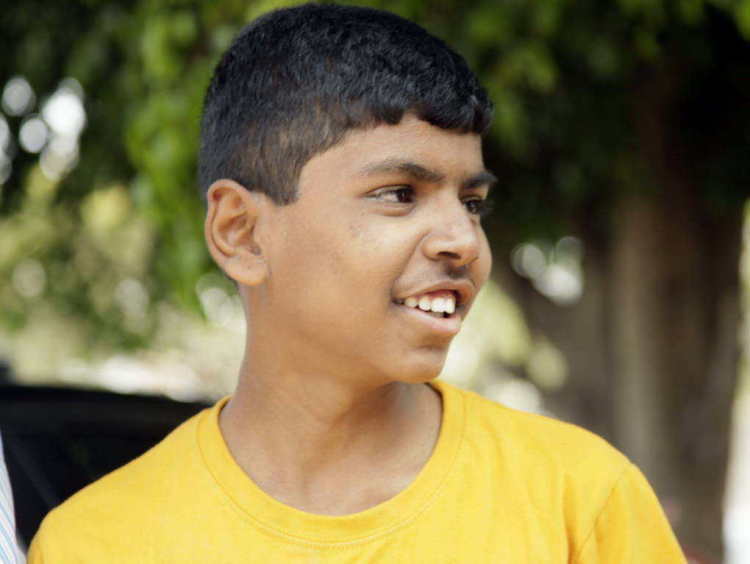 When Shreyas just started having his seizure attacks, our villagers said that he is possessed. Most of us, especially living in villages are bound by superstitions. So was I. I went by what my villagers said and I spent several days in the temples, hoping that would cure him. As a father, I didn’t want to any stone unturned to take away my son’s pain. When temples couldn’t be of much help, I decided to take him to the hospital. Every time we took rounds to the hospital, the hospitals sent us back. They either didn’t have doctors or beds. Over the span of 2 years, his condition has only worsened. Finally, when we could get him to the hospital, our world came crashing down. The doctors said that he has right mesial temporal sclerosis. 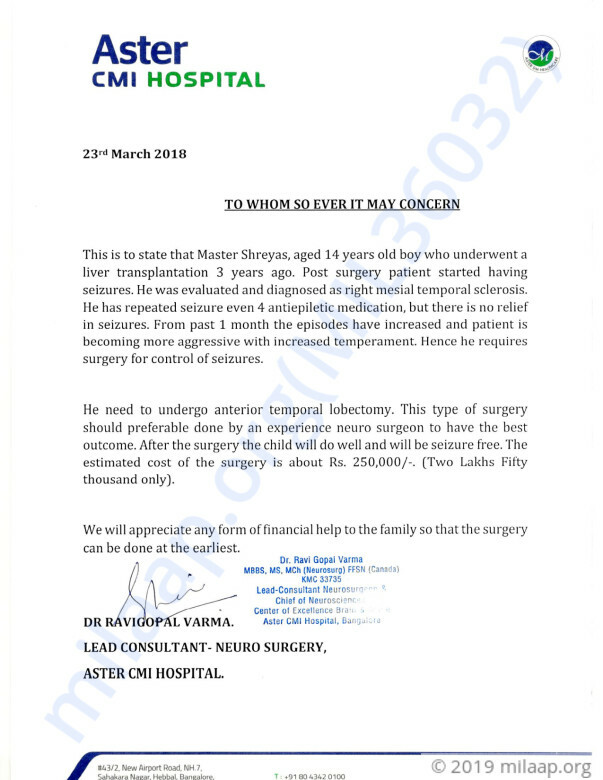 This is a severe brain condition where brain surgery is the only way that will help him retain his existence. I have to stay away from my family to earn the daily bread. I have to work the entire week and some time on Sundays too. My younger daughter, Sneha, is the pillar of our household. My wife is not strong enough to handle the situation when my child goes through his seizure attacks. She takes care of her brother and mother. She tells me she will handle everything. I have no strength to fight against the situation anymore. But it is my daughter who helps me restore the faith that everything will be alright. Since the last month, my child’s condition has deteriorated even more. Doctors are saying that if we don’t do the brain surgery immediately, he will never have a normal life. It is very important to perform the surgery urgently. I have already exhausted whatever I had during his liver transplant. All of mine and Prema’s income goes to sufficing the daily needs of the family and Shreyas’s medicines. We don’t have any money left to carry forward my child’s treatment. Also, we have no other means to gather any money for his treatment. My teenage son has his entire life ahead of him. It is very painful to see him suffering so much. The only way that can free him from his pain is the brain surgery. 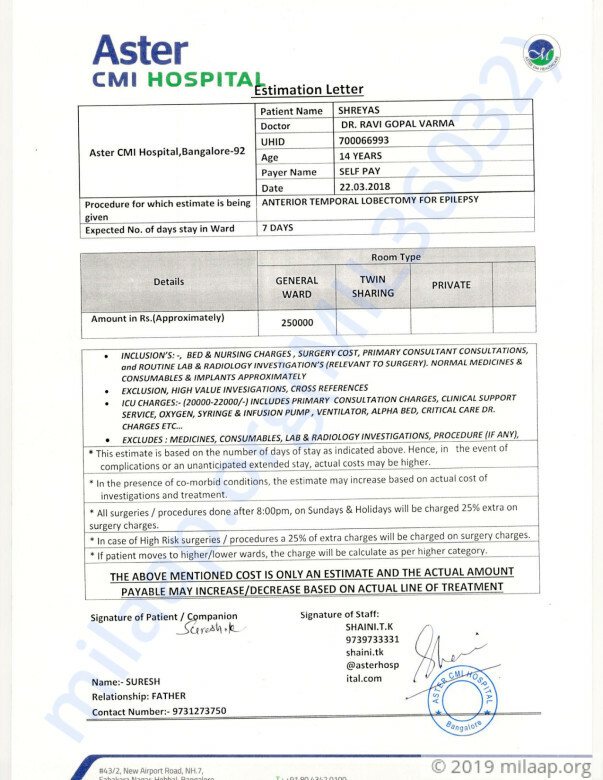 The cost for the brain surgery is Rs 2.5 Lacs. I have no means left to arrange this huge sum of money to give my son a life. Only your support can help my son live a life of normalcy. Shreyas is doing well now, he underwent an operation recently and it was successful. As of now, he's at home and living a normal life like any other kid. I have attached a picture of him for you all. Thank you so much for the love and support which you have shown towards Shreyas.